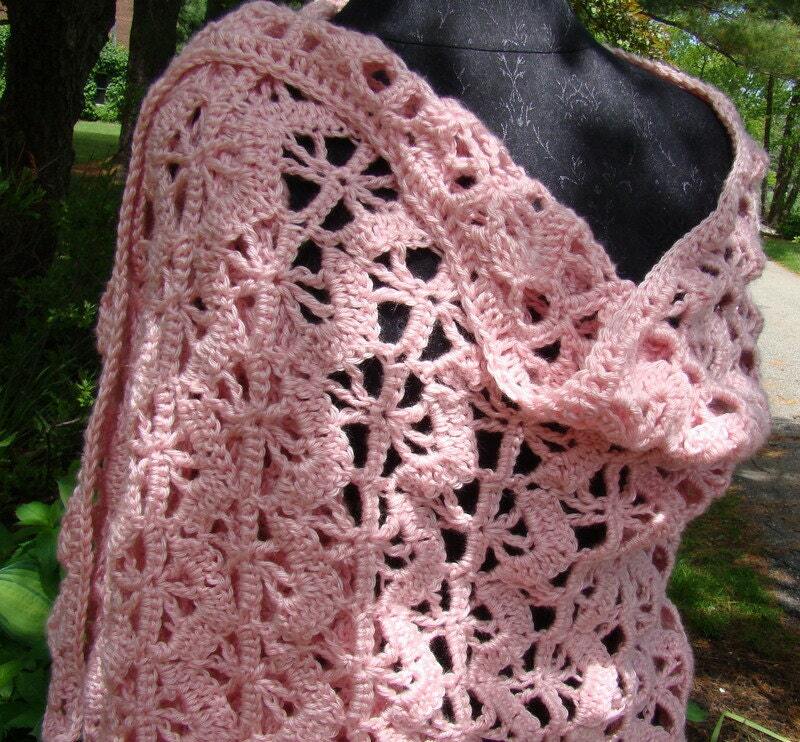 Wrap yourself in luxury with this ever-so-soft pink handmade shawl. 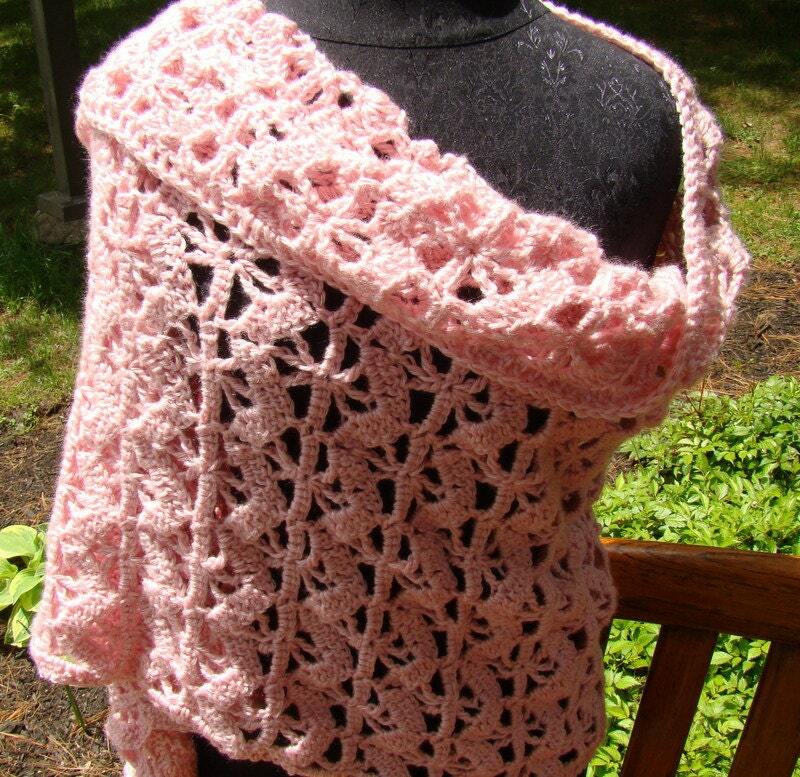 Hand crocheted in a lovely pinwheel design, you'll feel like a princess! 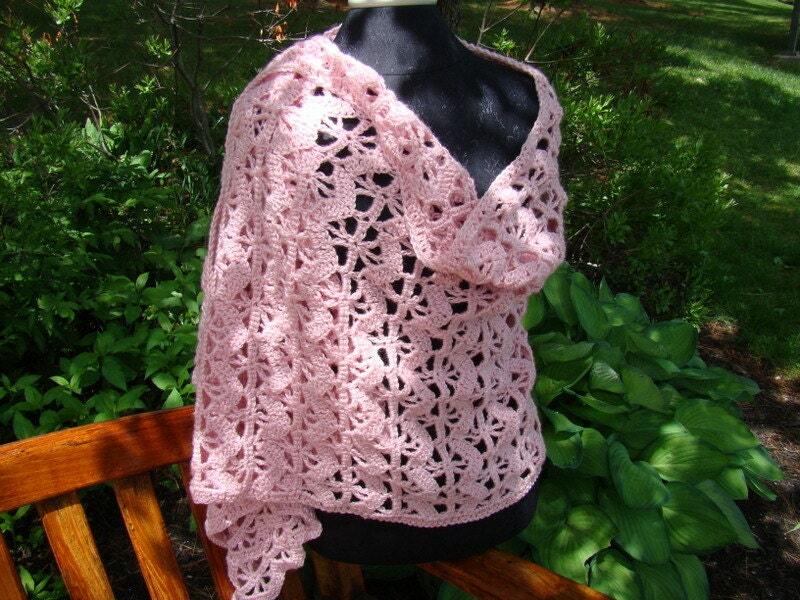 Measuring well over 65" long by 28" wide, this beautiful wrap can be used as a lapghan to keep off the chill on a summer evening, perfect to add to a white turtleneck and jeans, or perhaps wrapped around your white winter coat! So many options! 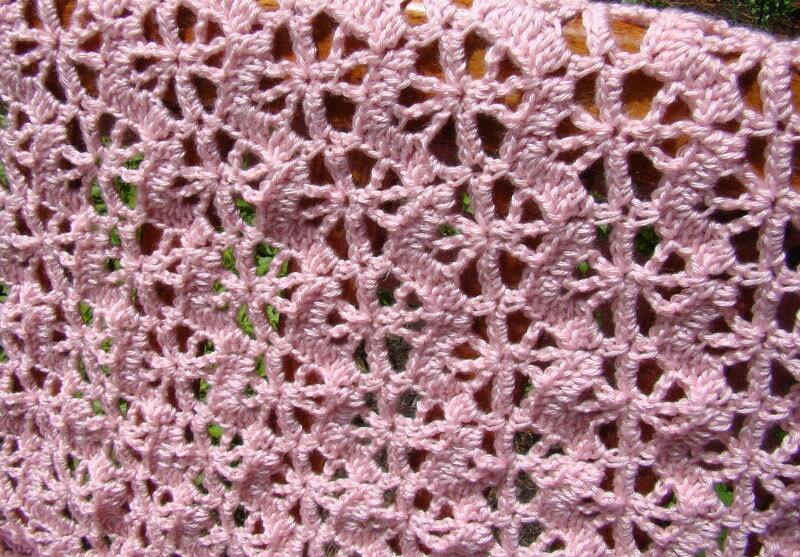 Looking for a different color? Just ask! 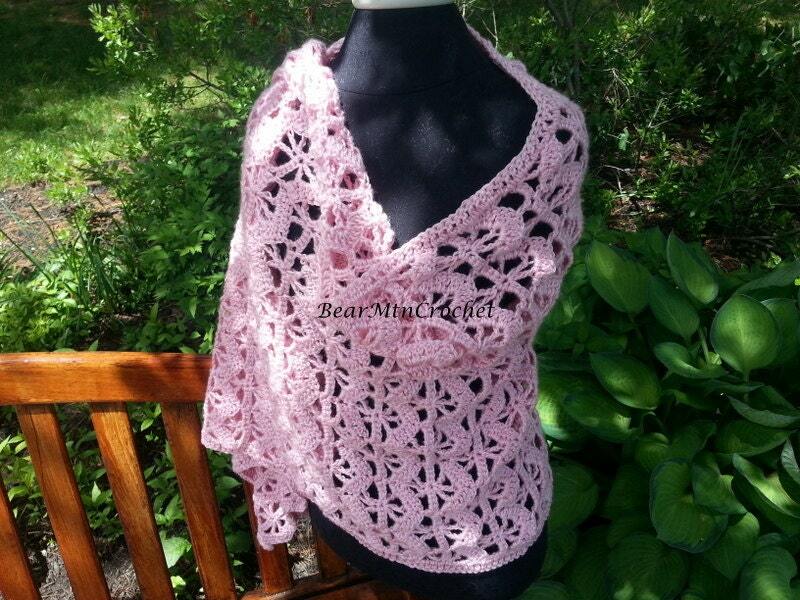 Perfect for bridesmaids, these shawls can be made in most any color to coordinate with your bridal party!